Hey, what’s going on you guys? I just got off the phone with my Facebook Ads rep and wow, they’re doing some amazing things for 2019. Let’s talk about it. I got off the phone, I had pages of notes. If you’re watching on IGTV, you can see I got all kinds of notes in here. I had to whittle it down to the 10 things that I wanted to share with you today. This podcast, this IGTV episode is going to be a little bit longer than normal. But this is a meaty, meaty episode, you guys. And I have all of my notes with the action steps that I recommend on the episode landing page so make sure you go and check that out. Let’s talk about what Facebook is doing in 2019 to make sure that your ads not only convert better and have more leads but also are bringing in higher quality. 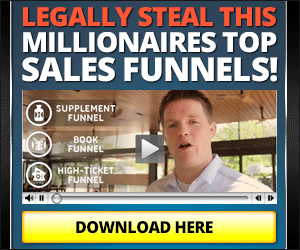 That’s a huge concern that they had and they’re giving you tools so that you can get better leads. Let’s start with what I’m the most excited about which is some changes to their lead forms that have. Now, before now, before December, a lead ad was something that literally just popped up on Facebook when they clicked the ad and you could add some new fields, which was cool. But, if you’re like most of my clients you’re just really asking for the phone, email, and their name and with the Facebook lead ad that pops up and it auto fills the form, which is really, really convenient for the user. But because it’s so easy to do, sometimes what happens is people will click on the ad, the form will pop up with all their information pre-filled and they’ll just go, “Oh, sure, click.” And just say yes without really understanding what it was that they had just done. They don’t know. It was throwing off some of our variables because we really try to make sure that we’re not just filling a spreadsheet with names and numbers, we’re actually bringing in quality leads. 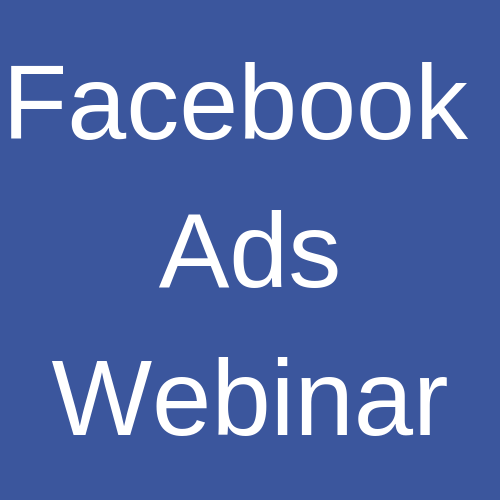 Facebook lead ads were known for bringing in poor quality of leads. That’s just the reality of the situation. However, they are doing something to fix it. They are creating what’s called a Conditional Lead Ad form which means that you can have a question in front of the person before they go on to give you their information. Let me give you some use cases on this. Number one, if you are solar, and we love working with solar companies to generate leads, if you’re working with solar, you can put something up before that says are you a homeowner, yes or no? If they say no, then it says thank you so much for your interest but we can only work with homeowners since you have to own the home for us to put solar panels on the roof. If they say yes, then the form comes and it has the name, email, phone, already populated and you can ask some more information like your average monthly budget, etcetera. How stinking cool is that? The Conditional Lead form basically auto removes people who clicked it by accident. I think the number of bad leads is going to go down by at least 20% on a lot of the campaigns that we’ve been running. Very exciting stuff. Very, very exciting. Another way that you can use a conditional lead ad is one of the other campaigns that we run a lot is to fill the room. People hire us to fill rooms. We’re going to put a conditional question in front of the RSVP form by saying are you okay with committing to come to the event or if plans change could you email us? Type, yes. So, if they say yes, I commit, now they can RSVP for the event. We’re hoping that improves the show-up rate. All very cool stuff. Conditional Lead forms, really, really cool, very powerful. Number two, the mobile-first experiences that they have created for us advertisers to use to benefit the people that are on apps are getting really, really good. So, if you have not used those a lot … my Facebook ad rep was like, “People just don’t use this stuff.” The mobile-first experience is available pretty much anytime you are creating an ad. No matter what ad type you have, there’s a Mobile-First Experience check box. It’s a part of the ad set so you don’t pay more for it. It only shows to mobile users. What it does is when they click on Learn More instead of them going to a page they have an option of actually seeing more information on that screen. It’s like the ad opens up and shows a little bit more information so that they can learn a little bit before going to a page or filling out a Lead form. Again, another really, really powerful tool that I believe is going to help increase the conversion rates by allowing us to give more of user experience. She was telling me some of the numbers, I’m not going to share them because she was talking about, using other clients as an example, but she was talking about what she has heard people are getting for conversions using the mobile-first experience compared to others and it’s just mind-boggling. How much better of a lead people are getting when we allow the customer to get more information before we ask for that commitment. Really good stuff. Really good stuff. Number three, the creative really matters. This is a big one. One of the things that I do with my Facebook ad rep when we are on the phone is going over some of the campaigns that we have and a lot of stuff we were doing was photos, carousel ads, videos. She was saying, this is a crazy stat that I think not a lot of people would be surprised at is that when you invest a little bit and you make what she dubs a higher quality creative, it can actually cut lead costs in half. So the same ad, the same text in front of it, the same audience. But, if you use a more attractive photo or a sharper video, lead costs to drop by half. Woo, that is insane. She was complimenting what the Branning group has put together. She really liked the ads that we were doing for our clients. Some of the videos that we have she was like, “These are great.” And she said, “And your lead costs shows that, right? Shows that it’s working.” She’s like, “You know, there are other people in the same niche that are seeing lead costs double even higher than that because they’re not spending time putting together a well done graphic. They’re not putting the time into creating something that really represents their brand well.” The creative alone can cut lead costs. Number four, shorter copies converting better. They have a whole bunch of stats and stuff like that. I’ll just tell you right now, five lines are what she said should be the maximum amount of real estate that you take up in the ad text portion of your Facebook ad campaign. Five lines. That means that if you’re typing it out in the Ads Manager and you get to that fifth line and you feel like you have some more stuff to say, really, really look at that and go okay, do I need to continue adding in more text, because that pops open a little See More, or can I reword some of it? She said that ads with a See More link where you have to open it up to see all the text in there, she said they typically do not convert as well as with shorter copy. Very interesting. She said to try to use a video to get across some more information or just use curiosity and get them to go to the next page. But longer texts she’s showing me is just not converting as well. Good to know. Number five, lookalikes are an underutilized custom audience that a lot of advertisers simply are not using. The Lookalike tool within the Facebook Ads Manager under Your Audiences will help Facebook help you find people that resemble a certain audience you select. For example, if you upload your buyers, the people that have your product, been to your events, etcetera, if you upload them, Facebook can analyze their profiles, find the common denominator and then create an audience of Facebook users that match those variables that have found the common denominator with amongst all your buyers which is just incredibly powerful. You can take a lookalike audience, which when you first create a lookalike audience in Facebook a lot of times it’s really big because it’s literally creating a lookalike audience from the entire Facebook platform. 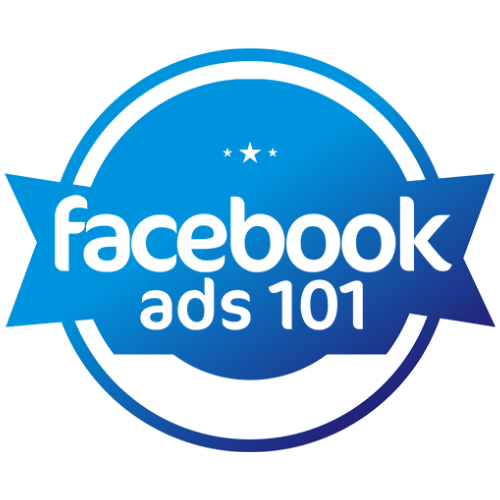 However, you can use your Facebook audience when you’re creating your ad set, I’m getting a little technical here but it’s important, when you create an ad set you can use your lookalike audience as the single audience and then you can layer your interest targeting and narrowing on top of that to create a really powerful ad. The lookalikes are something that you should really look at doing. You can also use lookalikes for people that have filled out your lead ads based on a custom pixel event and more. There’s a lot of cool options that they’re releasing with lookalikes. Number six, using automatic placement for your ads. When you create an ad set, you have the opportunity to either say I want to use the automatic placement, in other words, Facebook just put this anywhere and everywhere you think it’s going to work best, or I want to limit the placement of my ads to specific spots like Facebook or Instagram or Messenger. What she was saying was that Facebook’s algorithm is getting so good, and we’re going to get to the conversion rule in just a second, but Facebook algorithm is getting so good that if they notice that one of the placements for your ad is not converting even if it’s checked that your ad can show up there, if their algorithm notes that it’s not doing well in that placement, it will not show the ad there. For example, even if your ad has been checked to say yes, I want this to show up in Messenger, if it’s not performing well in Messenger, then they will stop showing it to your audience in the Messenger placement since it’s not performing. The whole goal is, again, just to optimize your ad spend. And so they’re getting a lot better about this. Before, especially in early 2018, we were seeing the audience network overwhelming being used to showcase our ads even though we were not seeing great conversions on the audience network. They’re fixing that. That’s really exciting for me to see that. They are resolving that issue. Number seven, this is a big one, we’re going back to the creative. Carousel image ads overwhelmingly do better than the single image ads. I mean, it’s not even close. And video does even better than a carousel. The single image ads are performing worse and worse in comparison to carousel and video. They have a really cool tool right now that allows you to turn an image into a video right within the Facebook Ad Creative Studio, which is awesome. You should really look at doing that because it doesn’t take up that much time, they have the tool right there. They just launched this thing and I tried it out myself, it’s pretty easy to use and you’re just getting much better results if you are able to use their little video studio to make a short, simple video. Use that, please, please. Retargeting. For those of you that are filling a room with events, we do a lot of more of that so I was able to ask her specifically on what we can do to help my clients fill the room. She was saying you can re-target event RSVP’s, so you create a Facebook event, people RSVP to that, you can re-target those RSVP’s specifically as an audience with reach ads and other branding campaigns just to that audience to get them excited about coming to the event. When you do that, she said when you spend a little bit of money on reaching those RSVP’s, they get more excited about it, they have more information about it and their stats are showing that they get a much higher rate of people actually showing up. For those of you that are looking to fill the room for home investment seminars, for career demonstrations in the life insurance industry, create a Facebook event and then create an audience just for the people that RSVP’d to that event so that they see your ads and they just get excited about the event coming up. So really, really good. I’m excited that we can target more and more people there. Number nine, almost to the end and these last two. This one is probably the most important if I can be honest with you because it has such a huge impact on what Facebook can do to optimize your ad. Number nine is your conversion event for the squeeze page based on when you get charged. When you set up a conversion campaign … so when you create a campaign you can create it based on traffic, based on conversions, based on video views, etcetera, choose conversion. And then if you look at conversion up at the top it says what goal are you tracking? You want to choose leads. You have to make sure your pixel is set up correctly but you want to choose leads. And then, after leads on the bottom, it says how do you want to get charged based on click or landing page view? Choose landing page view because people that are clickers are a different audience type than people that will actually read the whole landing page. Facebook will optimize your audience and show your page to people who’ve shown by their behaviors that the will click and actually read the whole page instead of just clicking around on Facebook. Do you want people who just click around on different ads? No, you don’t want to use your money that way and Facebook knows that. They will optimize your audience based on what you tell them you want to pay for. That’s powerful. Last but not least she recommended this and I thought it was really good. here at the Branning group we have a whole team of people that write and review Facebook ads so this is not something that she was speaking about for us but for those of that are do it yourself, have somebody review your copy before you actually post it. She said that there are so many little errors that are made when people create Facebook ads and a lot of them would be corrected if they just had another person do a once over on it. I thought that was interesting. Again, we have a team here so our ads go through multiple phases and they get sent to the client for review and there’s just a lot of stuff that we do here just to make sure that, again, because y’all are paying us to run your ads so by the time you see it’s gone through a few different hands. She said there’s a lot of things like spelling errors and links that are put in incorrectly. She’s like there are things that are done where it’s just kind of sloppy and if you just had someone look over your ads those problems would be solved. I thought that was good. That was a very good note. Those are my ten, you guys. Let me read them briefly. 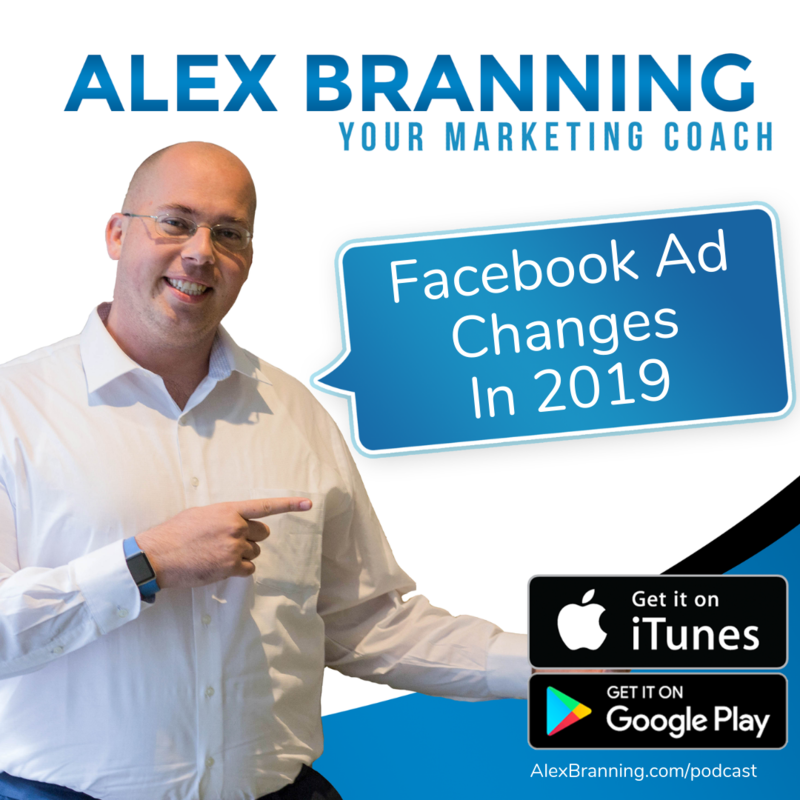 Again, if you go to the episode page go to alexbranning.com/podcast and click on Facebook ads in 2019, you’ll get this transcription of the episode plus my list of changes that they recommend and action steps on how to implement. Let’s go down the list again. Number one, conditional Lead forms, new, exciting, this is going to be a game changer. Number two, mobile-first experiences are really getting good results. Number three, the creative, the photo and video that you choose really matters cutting lead costs by up to half. Number four, shorter copy works best. At the most, you want to do five lines. Number five, lookalike audiences are underutilized and a great tool to help Facebook help you find the right audience. Number six, when placing your ads on the Facebook Ad Network, use automatic places instead of editing where the ad shows up for best results because Facebook will show the ads where you are getting the best results and not just where they can get paid the most. Number seven, carousel ads far outperform single image ads and video ads work even better so use the new Facebook Creative Studio to create videos using your images as a base. Number eight, re-target event RSVP’s with other branding campaigns so it just shows up to that audience. Get them excited about who’s going to be speaking at the event, the food that’s going to be served, the things they’re going to learn, etcetera. You can use a small budget but use this ad campaign that just goes to that custom audience, get people excited about showing up to your next event. Number nine, your conversion event for squeeze pages should be landing page views and not clicks. And number ten, have someone review your Facebook ads before you post them. A lot of mistakes are made when people are, I don’t want to use the world sloppy but that’s the word that she used, when they’re sloppy and they don’t make adjustments. You guys, I hope you guys had a great time listening to this episode. I hope you have a lot of notes. If you need some help, reach out to me. I’m here to help you out with your Facebook ads. Go to alexbranning.com/call. Aexbranning.com/call, we can go over your ads together.